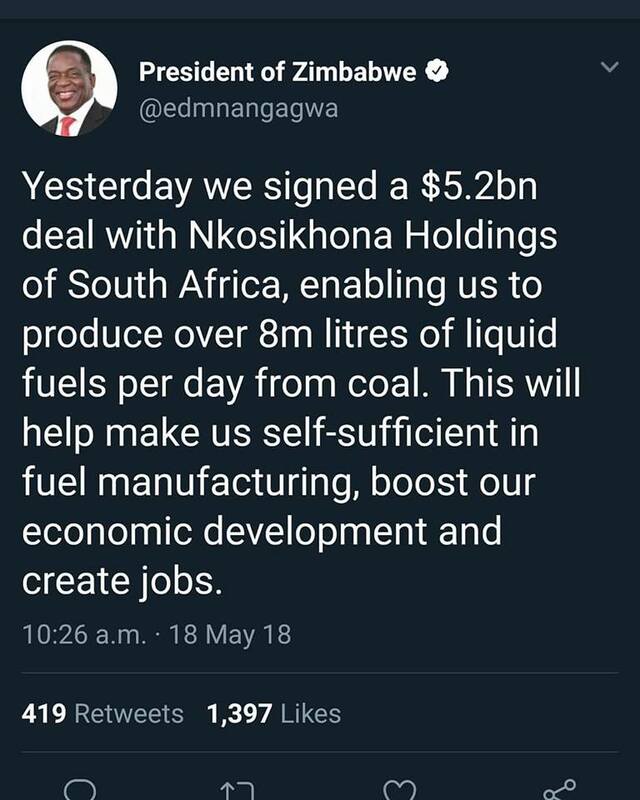 Zimbabweans on Twitter are questioning some unfulfilled announcements of mega deals and promises by President Emmerson Mnangagwa and his party Zanu-PF. Why is @daddyhope criticizing the government? ZANUPF promised to build 1,5 Million homes in 5 years, an average of 822 houses a day. Chamisa promised to move the capital city to Gweru. I canâ€™t criticize Chamisa for not doing it bcoz he is not in power. But I can ask ZANU how far? In 2002, ZANU-PF promised 1 million houses. How many were built? In 2018, ZANU-PF promised 1.5 million houses. How many have been built?